It is a happy day when many of the parts of my life that I love come together in a single moment. Sitting with my family at our favourite local coffee shop on a cool and sunny Sunday morning brings together two of them. The staff there know me well enough to tell me what the single origin is that they have on their second grinder without me having to ask. Even when things are crazy – and it does get crazy there – they always have time for a smile. I notice it because I have had many experiences in one particular coffee shop where the staff who bring the coffee to our table deliver it with a sullen face and barely a grunt. If it wasn’t for the quality of the coffee they serve AND the fact that we are currently working with a client across the road from their store, I wouldn’t bother going back. Ever. 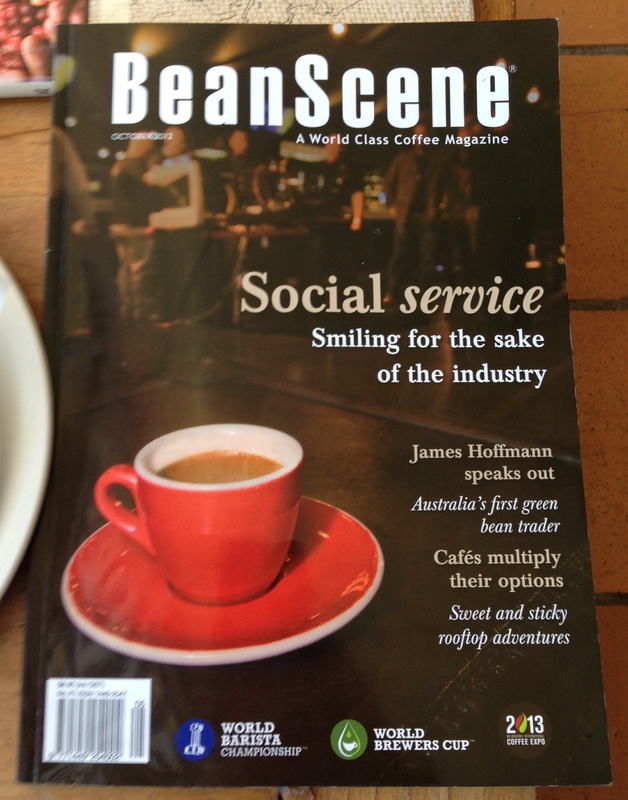 Which explains why the cover of the BeanScene magazine on the table caught my eye. The article “Social service – Smiling for the sake of the industry” was penned by two-time Australia Barista Champion and 2006 World Latte Art Champion Scottie Callaghan. He calls this type of disdainful behaviour baristatude. Scottie’s identification of this emerging trend and his subsequent advice is of value to everyone not just those in the coffee business – remember that it is your customer who is paying your wages! The order of a half-strength caramel soy latte is not something to turn your nose up at just because you believe that the blend that you have spent months crafting (perfecting the extraction by adjusting both the temperature and pressure of the extraction on your very expensive, state of the art, retro espresso machine) would be not spoiled but soiled by the addition of caramel syrup. It is what the customer wants and it shouldn’t be news to you that customers are only prepared to pay for something that they want! Too often I come across people who have forgotten that they have customers (internal as well as external) and haven’t bothered to think about (or even ask) what it is that their customer is looking for. In the case of the barista, taking 25 minutes to produce a cup of coffee (however perfect it might be) does not take care of my concerns as a customer – unless I have specifically said I am prepared to wait for the cold, drip filter process to complete. Over-servicing is just as bad as under-servicing and results from failing to take care of your customer’s concerns. If you serve up the best half strength, caramel, soy latte on the house blend that he has ever tasted then you can be sure he will come back and he will bring his friends. Whatever you do, just don’t get it confused with my piccolo on the Colombian “Santaurio” Geisha vareital roasted by my favourite roaster! And please, make sure it arrives with a smile. “Customer is the most important visitor on our premises. Great quote Ratnadeep! Thank you for sharing it.